Ask fellow campers about "Rapid City RV Park and Campground" and nearby attractions. We pulled in at supper time and were shown to our site by the camp host, which was great. This park is very quiet - even when full -- only distant traffic noise and no loud music or parties going on, which is great. The kids enjoyed the pool to themselves. The whole site is on a hillside so there's some view to be had, but the roads go up and down the slope so they didn't ride their bikes very much. If we couldn't find another campground further out of town with trees, we would stay here again. Wifi was pretty much useless in the evenings and very slow the rest of the time. I had to go to McDonalds down the road to get some work done. We camped at Rapid City RV Park and Campground in a Travel Trailer. We booked this park without reading the reviews. After booking we read the reviews and were concerned. When we arrived we found that the new owners have been putting a lot of work in to the place and we enjoyed it very much. Friendly, helpful owners, adequate space between RV's, beautiful view, great central location. Pool was clean. They have made real efforts to bring it up to a top notch park and we would stay there again. We camped at Rapid City RV Park and Campground in a Travel Trailer. Small gravel sites terraced down a hillside - no grass anywhere. Very few trees. Pleasant office staff. Bathrooms clean but showers could use some grout cleaner (both mens and womens). Wifi adequate depending upon number of users. I did most of my work late in the evening with no problems (however park was not full). Sewer outlet was slightly uphill and covered with litter - had to clean it up before I could attach hose. Drained slowly because of being uphill. Site overall was a mixture of gravel and broken asphalt on the slope. Not attractive.Price is high for no cable, adequate wifi, small "grubby" sites, no grass, no trees. Hey, but you get a view of Rapid City! Would look elsewhere before we stay again. 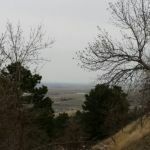 We camped at Rapid City RV Park and Campground in a Travel Trailer. Close to Rapid City: just up the hill. We camped here for three nights in a 26 foot TT and our site was small, tight and not level and to top it off our sewer connection was up hill. There was little or no grass and overall visual impression very poor all the sights are stacked on small terraces. The Wi-Fi didn't work we were told by the staff it would be fixed Monday today is Saturday. This park advertises Wi-Fi in big letters on their sign. The staff didn't seem to care or mind that the Wi-Fi didn't work they just said their device wouldn't connect and had to wait till Monday when the company who services it will look at the problem. This might be a common problem with this campground; one of the previous reviews that date back to 2013 had the same problem with the Wi-Fi. When we left Tuesday morning the Wi-Fi still was down. The bathrooms and restrooms are ok and were clean. I wouldn't stay here again they are way overpriced, with their cost being one of the highest in the area for full hook ups. One thing I noticed is their refund policy they will not give a refund for any reason even on reservations which should tell you the quality of the park. We camped at Rapid City RV Park and Campground in a Travel Trailer. Good access: close to Mt. Rushmore sights and yet close to Rapid City for dining etc. I would call this more of an adult park though families were present. Nice pool and very clean restrooms. The park is kept clean and orderly. Concerns, if any, are promptly addressed. A bad storm came through on my last night and I needed a quick repair. They put me in touch with a repair man who was prompt, efficient and reasonable. The best thing about the Lazy J is the people who work here. From the owner on down, they are attuned to their guests ever courteous and smiling. We camped at Rapid City RV Park and Campground in a Travel Trailer. Well maintained with a very friendly and helpful staff. We were a little put off by the lack of green space in the campground proper, but the excellent view overlooking the city and the other virtues of this establishment outweighed this issue. Highly recommended. We camped at Rapid City RV Park and Campground in a Travel Trailer. This park was repossessed in June by former owner and family. They have not had time to fix up the neglect by foreclosed-on buyer, but they will work on it. Park was quiet, has view of Rapid City, and a beautiful pool. Owners are very nice and we would stay again. Only downside is baths are older and need freshening: but were clean. We camped at Rapid City RV Park and Campground in a Travel Trailer. Some aspects of this park were nice i.e. : view, pool, game room. But because it sits on a hill side spaces are terraced and not very wide. Some spots are hard to maneuver into. Thought management were a little unfriendly! Will not stay again. We camped at Rapid City RV Park and Campground in a Travel Trailer. I wish we had called ahead to get directions because we were driving south towards this campground. There is a steep grade leaving Rapid City on hwy16 that I would have preferred to avoid. Campground was a nice park with good amenities. Staff was extremely helpful and friendly. Sites were tiny though and the entire park is terraced asphalt. We camped at Rapid City RV Park and Campground in a Travel Trailer. During our Yellowstone National Park trip, we arrived pretty late in the evening in Rapid City, South Dakota. After a full day of driving and hiking the family was pretty tired. We had no reservations, no idea what the campground was like. We pulled in and were greeted by some very nice and friendly folks. We pull 29 foot Travel Trailer with a Chevy Suburban and had no problems navigating and pulling into the pull through sites. The kids enjoyed the recreation room, the wife thought the laundry facilities were clean and the restrooms and showers were also clean. We thought the pool was a little worn and showed its age. My family absolutely loved the view of the city from our campsite. Overall, we were pleased with the campground, however, I might have had a different opinion if the campground had been full. The sites were very close together. 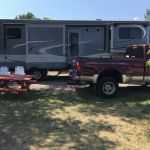 We camped at Rapid City RV Park and Campground in a Travel Trailer. 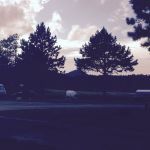 The campground is not far from everything you'd want to see in the Black Hills National Forest area, and after spending time sightseeing, Rapid City has all the usual amenities needed for groceries, fuel, dining, etc. Would definitely stay here again. Take an hour or so for the Founding Fathers exhibit just down Mt. Rushmore road, and also take time for the fantastic Reptile Gardens! Obviously see Mt Rushmore, but also the Crazy Horse memorial and the Borglum museum in Keystone. 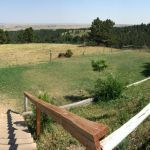 Take the 1880 Steam Train ride from Hill City to Keystone and back. Left out the front entrance and it's 20 miles to Mt Rushmore. Deadwood is 44 miles away. Right out the front entrance to town. Safeway is about 4-5 miles. Walmart nearby. Town is close with all the amenities. Hwy 16 (Rushmore Road) is undergoing a major upgrade. Two lane traffic, tight left turns, congestion, doable - but must be patient. Close to campground are Wal-Mart, Shopko, fast food and all fuel types. We often stay at this campground to visit family in the area. Close to "inner city" and on route to tourist sites. Must do includes mt rushmore, crazy horse, custer national park,badlands,wall sd, bear usa,and all the wineries for tasting. All within hour or so from park. Aside from the normal big sites, we enjoyed visiting the Mammoth Site in Hot Springs. We would highly recommend dining at the Wine Cellar, Minerva's, and Botticellis (make reservations at all of them) Rapid City is a great small town that is full of friendly people and is easy to navigate. You will probably have to disconnect your tow vehicle. Owners are very friendly and quick to respond to any issues encountered during your stay. Don't be afraid to ask! Campground is on outskirts of Rapid City and on a major highway. Easy access in and out. Close to dining, shopping, gas and grocery store. Hosts are very friendly and knowledgeable of area and things to do!? We have family in the area and this is our campground of choice. Great access to Black Hills, Mt. Rushmore, Custer State Park, Badlands and downtown Rapid City. Are you affiliated with Rapid City RV Park and Campground ?